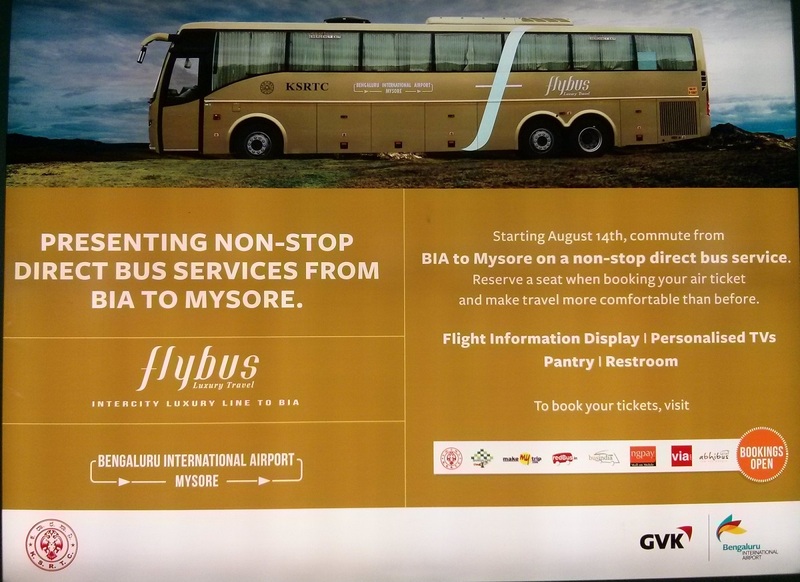 Considering multiple requests received from residents of Mysore who fly regularly, the Karnataka State Road Transport Corporation has introduced a direct shuttle volvo bus from BIAL to Mysore and back starting 14th August 2013. The top of the line multi axel volvo bus will connect both these destinations in an average time of 4 hours allowing air passengers to directly connect from Mysore to the Bangalore International Airport for their onward journey. 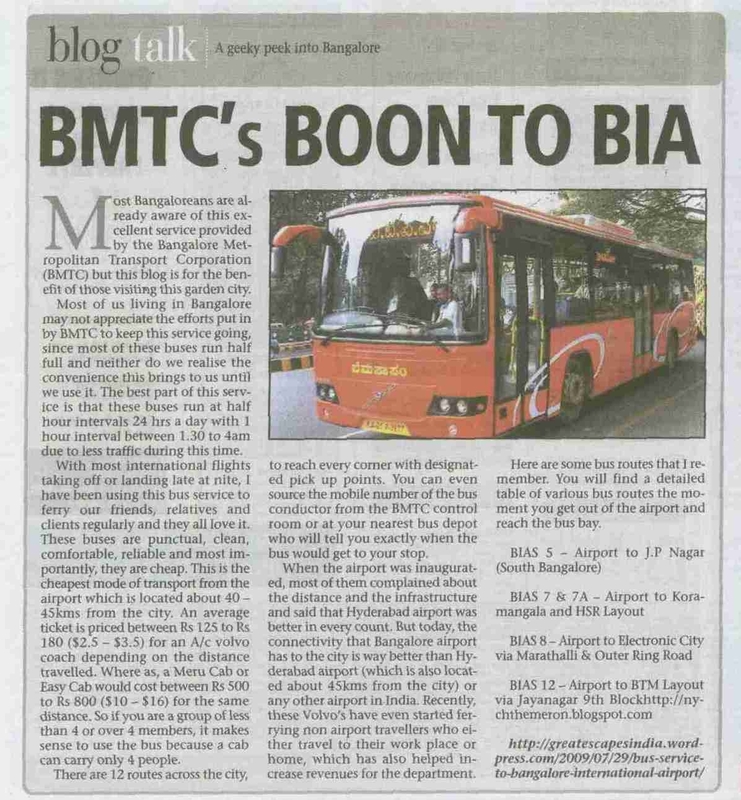 One of our popular blog post on the Volvo service to Bangalore International Airport has been carried by Bangalore Mirror under their Blog Talk section. Attached below is a scan for your viewing. All this happened suddenly last week when this good journo friend of mine from BM called and asked if i have any Bangalore specific blog post. Couldn’t think of anything else but this post which is our most popular and informative blog and receives good hit rate on a daily basis. Thanks to BM, we are seeing more and more hits now. Hope people post similar blogs for their respective cities as well which will help budget travelers like us save on travel expenses.